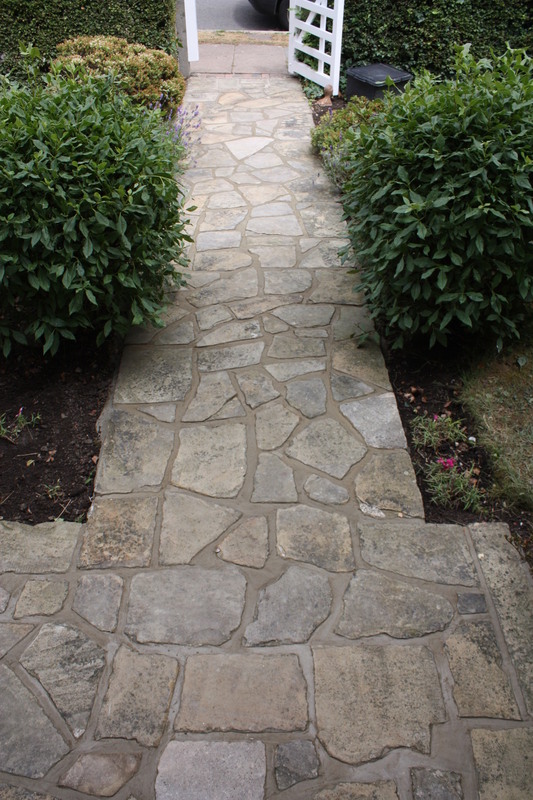 Reclaimed York stone path with reclaimed brick edging & recessed drain cover. A reclaimed mix stock brick path bordering raised vegetable beds. Existing concrete slab paving re-laid with addition of brick edging.